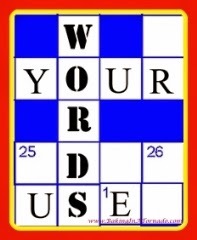 follow me home: Use Your Words February 2019! Very entertaining and clever use of your words! Once again, Grams knows what she is talking about. Roger's house of cards came crashing down. 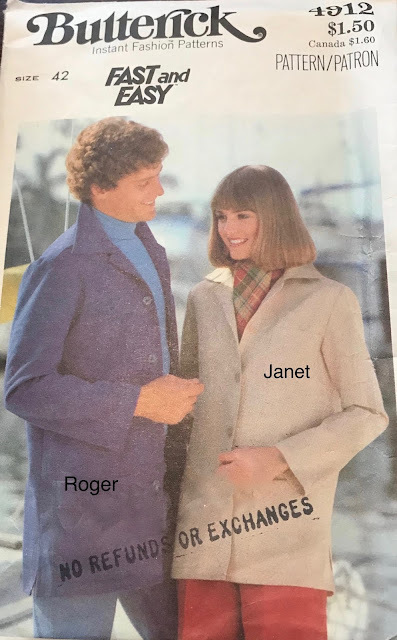 Hope things work out better in the future for Janet. So glad you are sharing your wonderful writing again! I've missed your pattern stories and love that you actually incorporated two! Of course you left me with a laugh, oh those men and their exaggeration of the size of their boats! Michele, I have missed you so very much. I have been worried about you. Hope you and the family are doing good...Hi Mark. Well yes I'm still at U of M 21 years and counting. How are the kids doing? are you a grandma yet? Miss you. 21 years? Where in the world has the time gone? Weren't we just at Target a few months ago? LOL. Every one here is doing really well. And yes, I'm a grandma! I'm going to post about it on Friday! Miss you too! Oh, my word, I love this! What a concept, pattern stories. I have a whole room full of potential stories! Amen, Diane! I have tons of patterns too. It's very hard to toss or give away the vintage ones; thus Pattern Stories was born! Thank you so much for reading. It was a fun post do write. I hope my comment showed up on your beautiful blog today. Welcome Back, my beautiful girl!!! Oh, how I've missed your stories! And, what a great one!. Grams is a hoot and oh,so wise. Love you, girl. Thank you, Stacy. I'm so glad you liked it. I missed writing them. Grams is wise in true life, too ;) Love you right back. Grams is a wise woman! What a great story! Hello you! I was hoping for one of your fantastic pattern stories and you didnt disappoint! Cracking up laughing at Grams! She reminds me of my very own Gma and something she might say to me! Ha-ha!! Btw, I'm expecting my signed shellybean pattern inspired novel in the mail soon! Love ya and welcome back, my ff! Oh...and that pic of you! Is it weird that I see you in my head that way peering at me through the gate? So cute!! I wasn't in her class, I was in Mrs. Simmon's class. Cascades School is now gone. My heart still hurts. Many sweet memories! I'm so happy you're back! The pattern story is awesome. Boys and their stories about their dingheys! I have boxes of inspiration for pattern stories, but I don't think I could ever do them justice the way you do! "Never take a man's word about the size of his boat" sounds like excellent advice. Isn't it amazing though how a nice picture and the right words can create a wonderful illusion?